Hey everyone- MondoCon is just over a week away and I'm getting everything ready to head down to Austin-- including a new themed art print for the con! Anyone that knows me knows I worship Raiders. I've often lamented that I couldn't visit large recreations of the sets, walk inside and take pictures like a tourist. The environments were so perfect, but the film moves so quickly you barely get a chance to look around-- it sometimes seems like a great gallery where you wanted to stay for hours but are hastily ushered out the door before you were done ruminating on the beauty around you. This series seemed the best way to spend more time within those environments... until the Mouse builds an Indy theme park at least. Where would we start the tour? The Map Room of course. 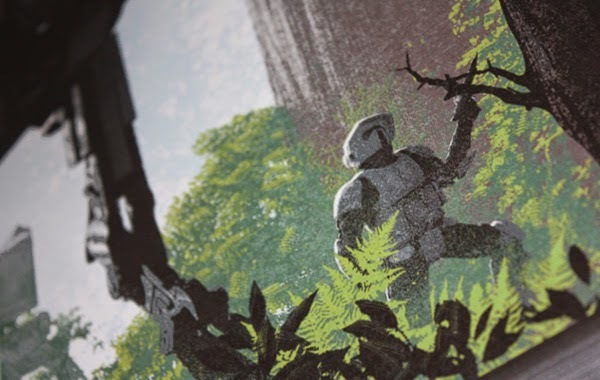 I'll have these prints at my booth at MondoCon (that's just a cropped tease above), but because I've had so many requests from just the twitter tease I'm also going to do a limited pre-sale for those that can't make it down to Austin. The pre-sale will be tomorrow, Friday Sept. 12 at 3EST. Just come back here to the site and I'll make a new post at 3 with the full image preview, purchase buttons, print info etc. Don't be late! Hello friends- It's been too long since the last update! Hope you all have been well-- I've been stuck in my Hobbit hole drawing away for a bunch of new releases. 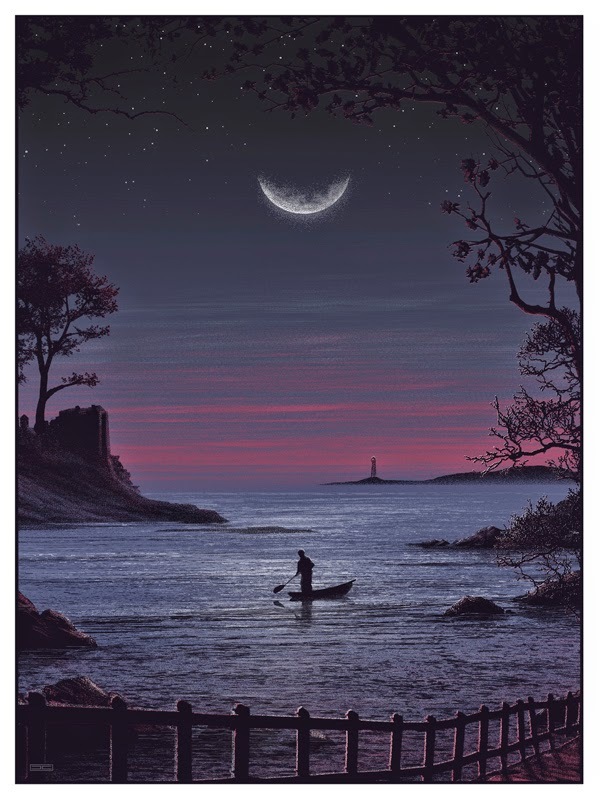 First up- I have 3 Mondo posters in progress; 2 are in production and one is already approved and waiting for a drop date (ok I lied I know already but can't say!). Also, I'll be making a trip down south soon to meet up with some friends.. hopefully I'll be able to announce those plans in the next few days. 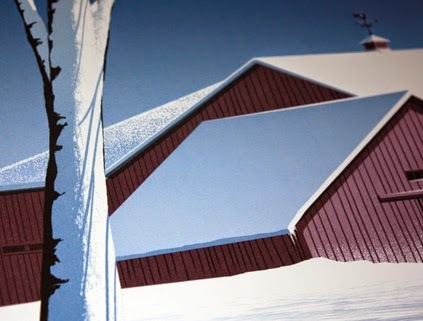 I'm also just finishing up a 4th licensed movie print for a new company, for one of my favorite films of the year. What else? 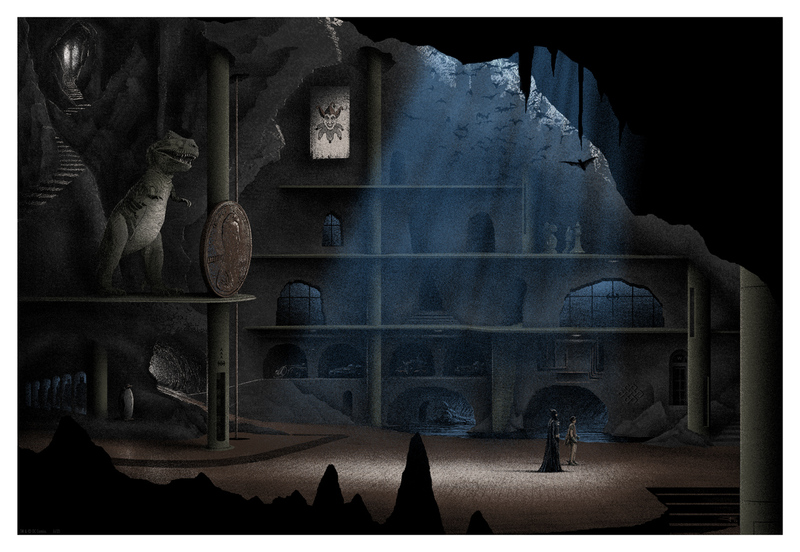 A themed art print for the 'Mythos' series curated by Arik Roper titled "The Symplegades" (mine's on the left on the gallery wall..watch Jason and the Argonauts if you don't know what the Clashing Rocks are!). I should have details about the North America sales of this one soon, I think they're only shipping in Asia at the moment? I'll find out and edit this. Anything left? Speaking of series: I'm planning to publish 2 new movie-themed art prints myself in the next few months: one the first in a 3 parter, the other is a dyptych that melds two different-but-same things. I hope that's confusing. The pre-summer ONSALE is on! REMEMBER- If anything goes weird or you run into an issue, just shoot me an email and we'll work it out. Just wanted to let everyone know I'll be having an ONSALE tomorrow, Thursday 6/19 at 3PM EST. 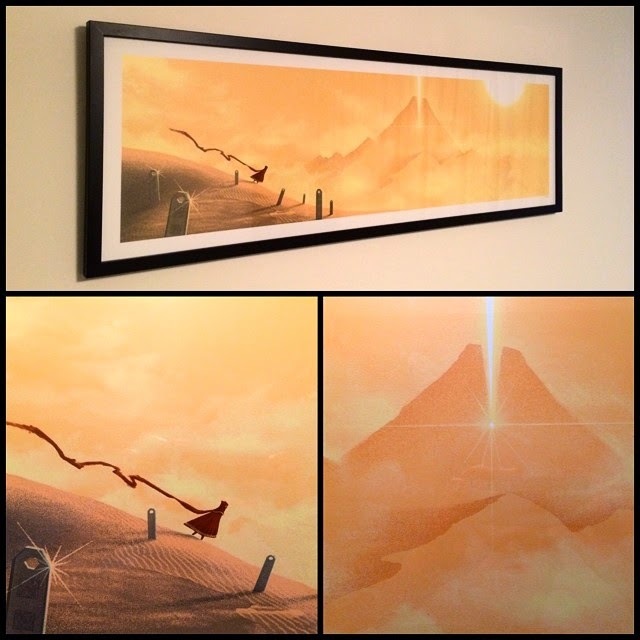 I'lll be putting up JOURNEY APs, a few Archive APs (including a couple of Star Wars trilogy sets) and some that I've never put up publicly... and last but not least I'll debut the new NATURE GUILD art print for those who have been waiting so patiently... back to the shoreline for this one..
How do you purchase? Just come back here to the blog tomorrow just refresh the page at 3PM EST; I'll make a new post at sale time with all the purchase buttons, images etc. so you can shop. Since I have very small numbers of APs, I'll do my best to prevent overselling but may not be possible-if that happens I'll let everyone know ASAP. 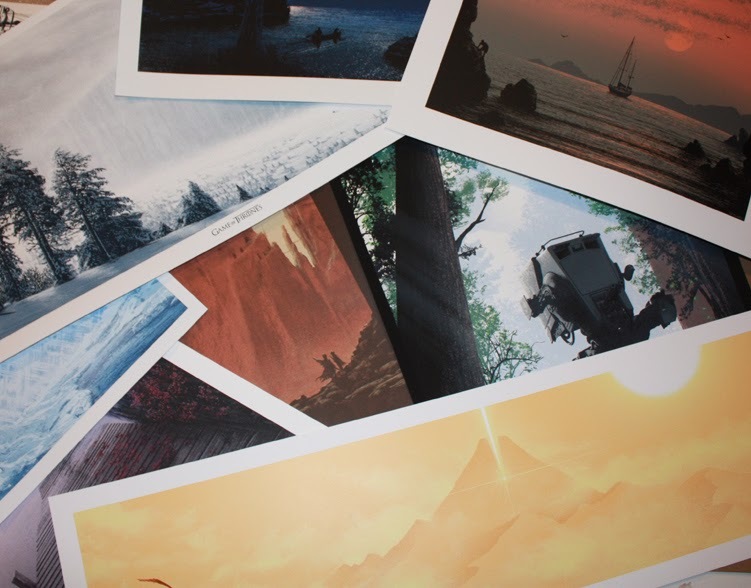 I have very few of the Journey prints and other APs so don't be late! Hey all- 2nd post today! Want to let you know Mondo just dropped their latest soundtrack offering, and I was honored to do one of the covers! 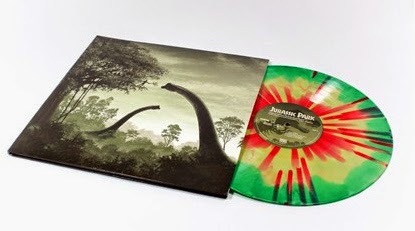 The JURASSIC PARK OST Vinyl LP releases just went on sale at Mondo- head on over to the website to purchase and learn more details..
Next up... 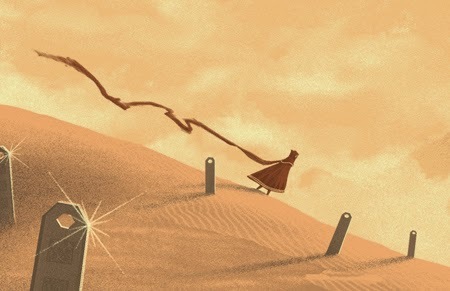 JOURNEY / AP sale news! First off is a late FYI: I did a print for the "Moments Lost" Blade Runner show at Bottleneck Gallery. 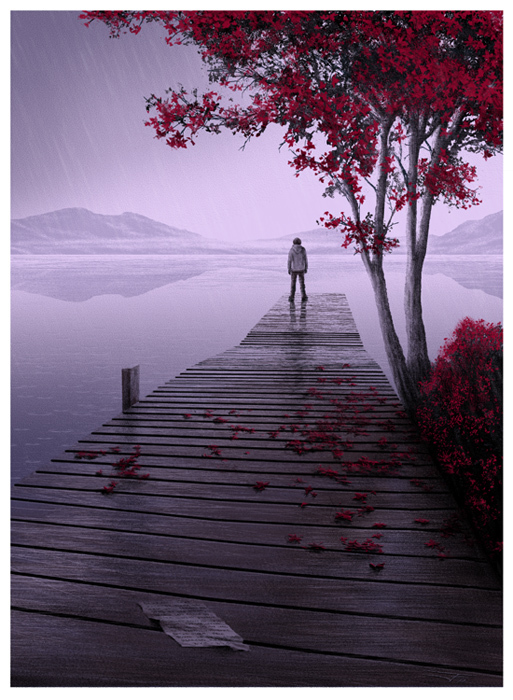 There's still a few prints available so head over to their webstore to purchase. "Fiery the Angels Fell" (10"x28") depicts the final scene on the rooftops, the moment Roy Batty chooses to save Deckard, while at the same time earning his 'humanity'. A great scene/film to revisit, one I probably could have drawn this from memory if I had to! 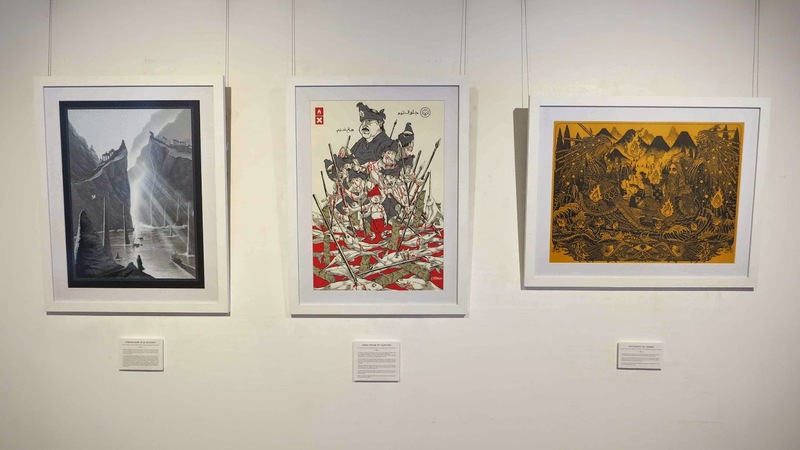 Also lots of other killer artwork in this event (and a wonderful 'alternate' OST vinyl designed by Killian Eng), I urge you to head on over to the website to check out the whole show. Wanted to share a quick update on "The Forest Sentries"--printers are just finishing up, should have 'em back here in a few days. I'll quickly sign/number and tubes should start shipping by the weekend. Also, many people (well, at least a dozen) have asked me if 'Sentries' marks the end of the series, or if there's plans to do something from the prequels- quick answer is 'no' to both. 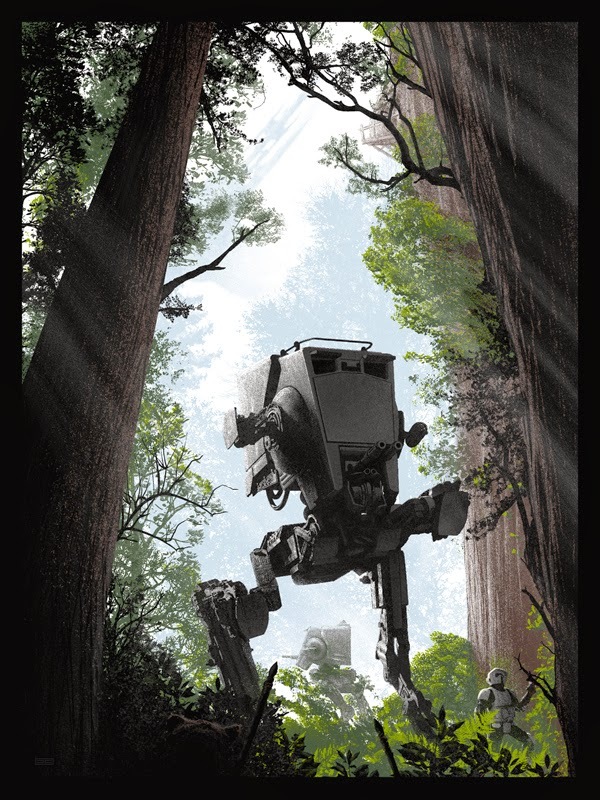 Hello my friends- Here's the new one- a scene from the deep dark forest of Endor. If you look closely, you'll see some of the natives peering out from the shadows, as the shield generator looms in the distance..
Hello friends- just wanted to say a quick hello and share my submission for Mondo's "Nothing's Impossible" Disney gallery show, which is opening later today (Friday, March 7th) at 3PM CST in Austin, TX. It will run until next week as part of SXSW. Walt Disney Presents "PETER PAN"
There's so many memorable, iconic scenes in Peter Pan, but since I wanted to keep it to one large scale landscape-based layout I chose the 'first flight' sequence, simply because it's what always stuck with me most as a child. It's Peter at his superhero best- soaring over London, invisible in the night sky..leading the way to a cosmic trip through a wormhole to a strange non-spherical floating homeworld (well, that's how I framed it as a child). Anyway, I stuck pretty close to canon on this one-- you'll notice the 'pirate ship' moon, and the second star to the right.. but some may not notice that Big Ben reads two different times on the visible faces. The reason? In my mind's eye this flight takes place soon after the Darling children and Peter land on one of the the second hands, and if you remember this resets the time from 8:05 to 8:15. And yes I should have a small amount of copies to offer sometime next week; my sub members get first shot and then I'll put up what remains in a public sale soon after that. Hope everyone in Austin enjoys the show opening reception tomorrow... I'll be stuck here in MA working away on the next one, so take pics and send me some. I've been anxious to start shipping "THE LAST REBEL' but of course they were misrouted and have taken their sweet time getting here... I've subdued my rage, and have now been assured they'll be in my hands by the end of the week; they'll immediately start shipping upon arrival. Thanks so for your patience; once I get all these shipped I can finally do the next art print release. In other news: I've recently completed three new licensed screenprints- one for the Mondo Disney show (most screens I've ever used), a second for a video game title (in collaboration with iam8bit), and the third for a small series curated by one of my favorite artists, Arik Roper.. he's wrangled some unbeliveable talent from around the world for the series, can't wait to share more on that one in particular. Finally, hope to start work on a private commission when I get a spare moment, a fun one but most likely the only one I'll be able to do this year. 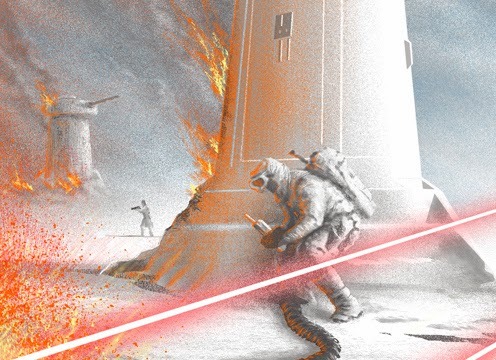 THE LAST REBEL - New art print onsale is on! UPDATE- Onsale time change.. aka Murphy's Law Strikes Back! Hello everybody-Looks like I'm going to have to postpone the new art print sale for 24 hours due to the entire power grid going down at the studio, at the most inconvenient time possible. Unfortunately I can't administer the sale on my phone, need my workstation for all the preview images, code etc..
Because I know many of you have moved around/changed schedules to make the sale, to accomodate you I'll put up a 'blind purchase' button in this post with the (previously posted) tiny preview jpg today at 3PM. Hello friends- Everyone made it through the holiday gauntlet in one piece? Good, let's get right to it.. I'm gearing up to get the monthly art print releases back up and running over here, it's been too long. FYI If you haven't purchased before-- just visit the blog here on Thursday. 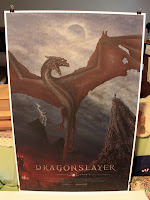 I'll make a new post at the appointed sale time, complete with print details and purchase options. - Recently finished up 2 new Mondo things you should see in next few months, and also have a few addtl. licensed movie-related projects for other clients in progress. 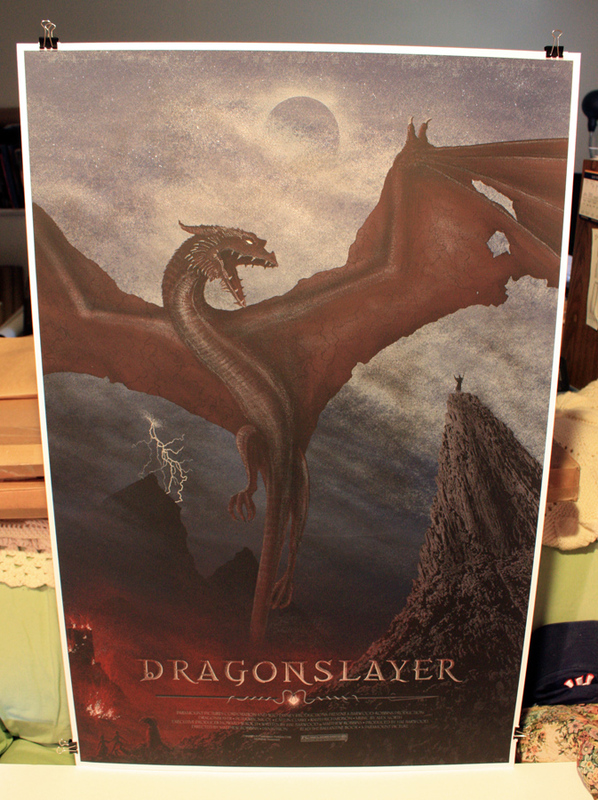 - Just received corporate approval to go forward with an official art print for one of my favorite game titles. -There's a private commission waiting in the wings as well, hopefully I can start on that next month. - Last but not least, I was asked by one of my favorite artists to be a part of a small group art series thing in February--this one is going to be fun, can't wait to share..